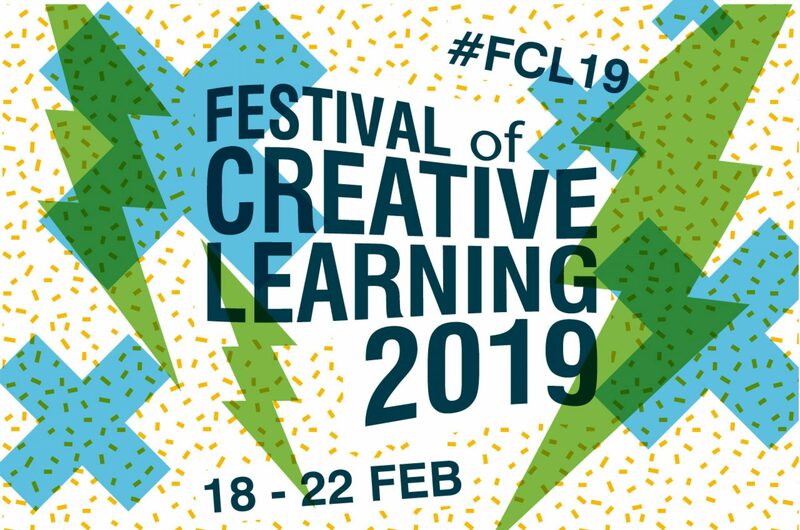 It is seven weeks today since the curated week of the Festival of Creative Learning (19th – 23rd February) started and we are already well along with planning for the 2019 Festival. Jennifer and I are still processing the feedback and evaluations from the week and aiming to refine our processes and resources over the summer, but early indications suggest it was a great success! Compared to last year when we spent a whole week in ‘Festival Decompression’, locked away in a quiet room getting our heads round our first year at the helm, this year we only spent a half day planning our summer work priorities, suggesting we have now found our feet. One of the creative outputs we commissioned for this year was a new Festival Film, expertly crafted by Archie Crofton. We are absolutely delighted with the result and strongly encourage you to watch and share widely as a celebration of one of many great initiatives at the University of Edinburgh. The full film is available on Mediahopper. Alongside the film, we also invested in a full portfolio of photos from many events, captured by expert photographer Mihaela Bodlovic. A selection of these photos have or will be shared on our social media channels over the coming weeks. View the first album of day one on our Facebook page. It is always a pleasure to read the stories that appear in various creative formats from our Event Organisers. Some of them will be sharing with you directly over the coming months via this blog, so stay tuned. Below are some examples of records that are available for your reading pleasure, providing an insight into some of the events and activities that took place during the week. Uncovering student learning behaviours at the Festival of Creative Learning by Neil Allison. An evaluation of the practical, introductory event: ‘Collaborative user research and design techniques for better student experiences’. Siege of Infosec – The Aftermath by David Creighton-Offord. An honest reflection on a particularly innovative event and linked to this earlier blog post. The fifth annual ‘Great Medico-Legal Debate’. A report on the debate considering issues of human rights and public health. Visualising the campus by James Lamb, showcasing photographs and summarising learning from the event: ‘The Mobile Campus: Imagining The Future of Distributed and Digital Education at The University of Edinburgh’. David Claerbout: Artist’s Talk. A full-length recording of a talk by ‘one of the most acclaimed and innovative artists working in the realm of moving-images today’. Learning with Lynda.com. A digital magazine celebrating the Festival with a theme of creativity. Running around University campus carrying ice-cream mix, dry-ice and a large stand mixer. The event itself and the pleasant interaction with people, those who attended our event really were passionate about the topic, and that was great to see. The creation and strengthening of the community. It is very refreshing to be involved in academic dynamism and get to know people from different backgrounds. Monitor our website for pop-up events taking place during the rest of the year. Festival of Creative Learning 2018! We’ll be holding two workshops during the Festival of Creative Learning at the University of Edinburgh. Both workshops are free of charge and open to the public. The morning session will focus on dyeing, using woad and cochineal. We’ll have woad plants & cochineals for everyone to see & we’ll explain how they both yield colour before we use extracts of the dye to dye wool! Participants will also be allowed to bring one item that they’d like to dye with either colour. There are a limited number of spaces available for the morning session! First of all a huge thank you to the speakers at the Resilient Researcher event which I was involved in today. As I’ve mentioned in previous posts, resilience is my word of the year so I was really pleased to be able to work with two sponsors, SUPA and the IOP, to put on a day of talks, discussions and (best of all) live music to help some of our researchers understand and develop their thinking around this idea. It was a huge pleasure to work with Anne Pawsey from SUPA and the School of Physics and Astronomy on developing and delivering the day. Robbie Bushe from University of Edinburgh’s Centre for Open Learning organised this great event at the end of February as part of the University’s Festival of Creative Learning. It was held in collaboration with one of Edinburgh’s newest and most innovative restaurants, The Food Studio, brainchild of Benedict Reade and Sashana Souza Zanella. The restaurant was started in November 2015 and has garnered praise and The List’s Newcomer of the Year award in 2016. Meet Eat Drink Think was run on three consecutive evenings and the purpose was to highlight the contribution of Europe and Europeans to Scottish food and culture. Each evening four university tutors from the Centre for Open Learning gave short talks on various aspects of food and culture, and the menu served by Food Studio was inspired by the subjects of these presentations. With thanks to the Festival of Creative Learning, ECA Textiles, our volunteers, and our participants.